We can install npm package with the apt command where Ubuntu, Debian, Mint, Kali distributions support. For yum based distributions we will use yum or dnf command like below where we will install npm package. Before updating the npm we will print the current npm version. We will use -v option which will print major and minor version information about npm. We can see that the current major version of the installed npm is 5 and the minor version is 8 . 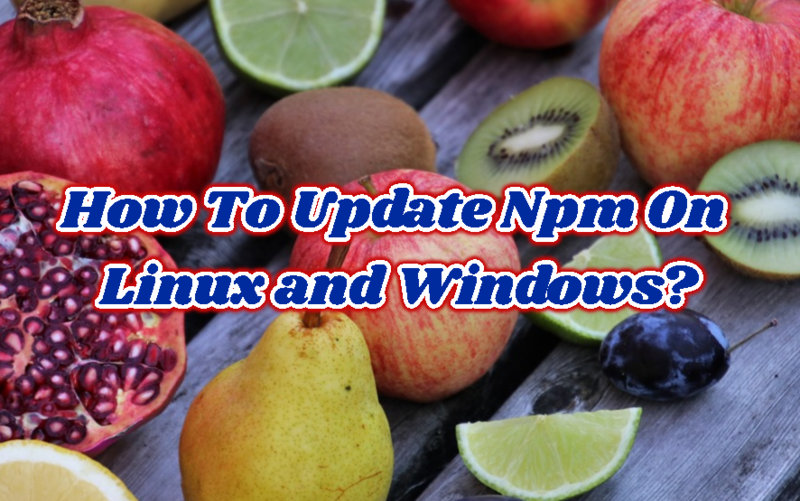 After installing the npm package or executable we can use npm command to update npm. We will use install option with the -g option and npm@latest like below. deb based distributions like Ubuntu, Debian, Mint, Kali provides apt tool in order to update installed packages. We can use update option with the npm package like below. We can update npm package with the following yum or dnf commands.